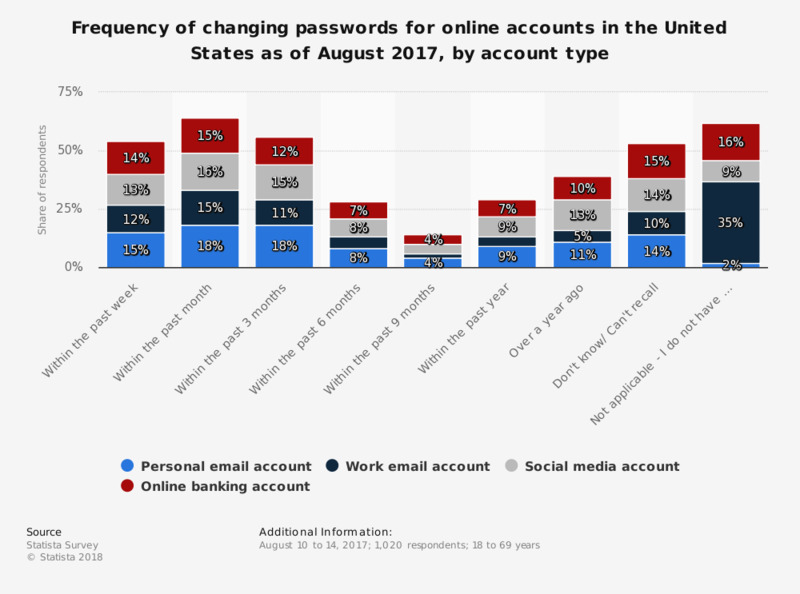 This statistic shows the frequency of internet users in the United States changing passwords for online accounts as of August 2017. The survey revealed that 14 percent of respondents couldn't recall when they had last changed the password for their personal e-mail account. Overall, 15 percent of respondents had changed their personal e-mail account password within the past week. Original question: When did you last change your password?